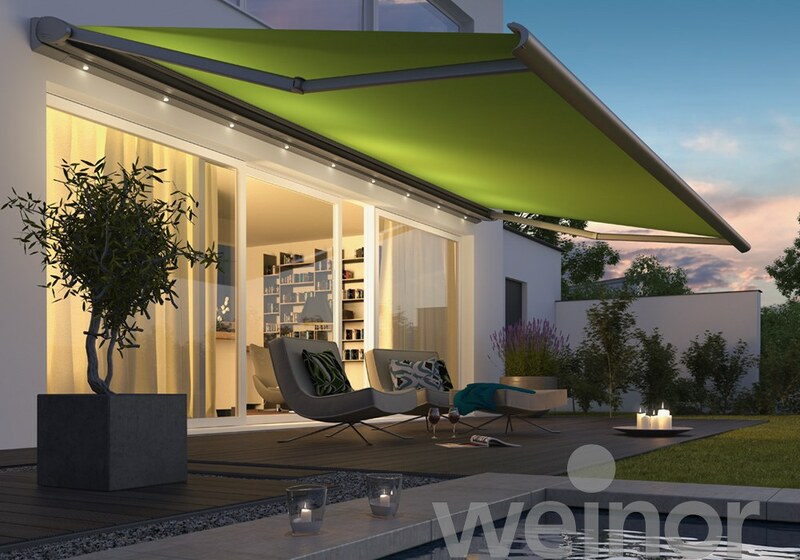 Elegant design and full of brand new technology. 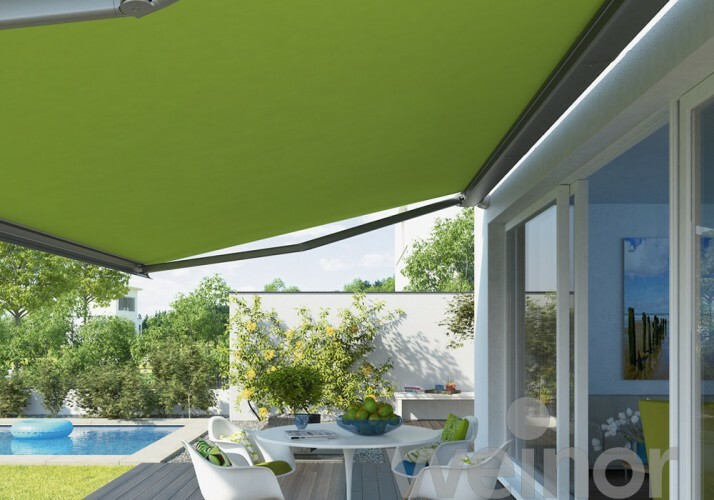 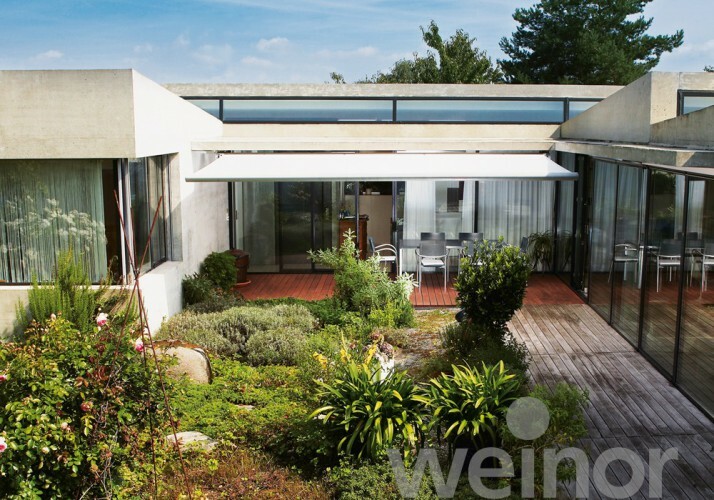 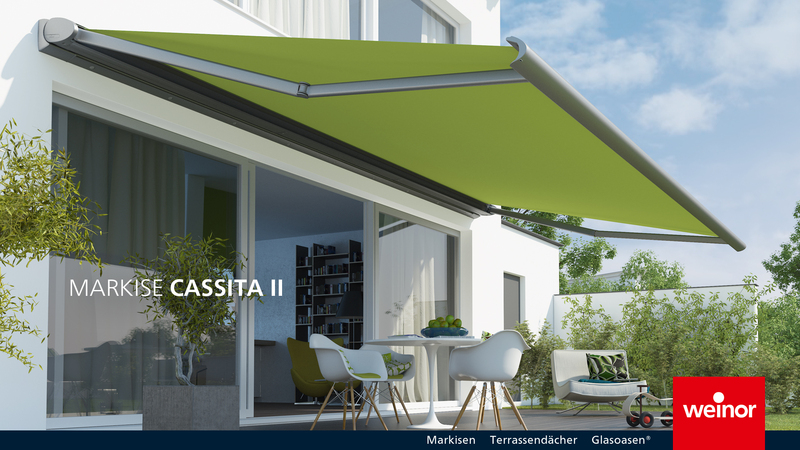 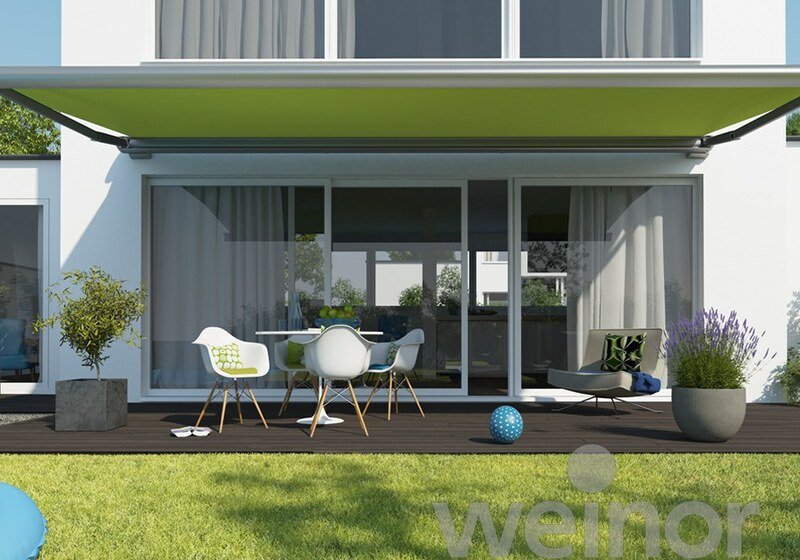 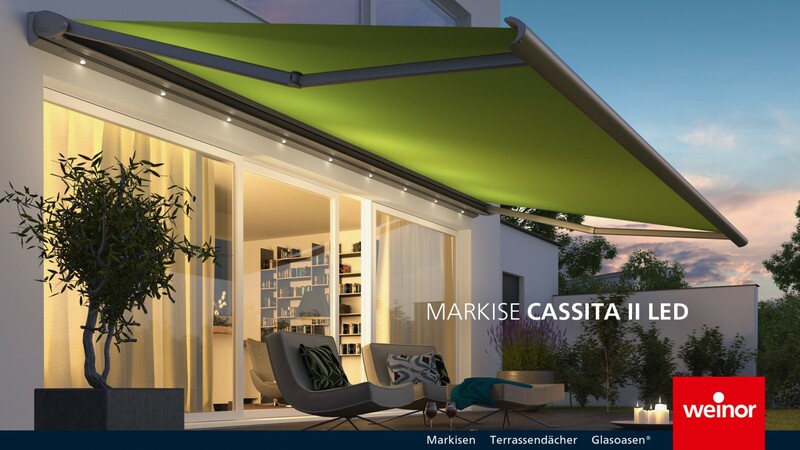 With it’s puristic shape and ultra-slim cassette, the Cassita II is the perfect awning for modern domestic trends – with various options for added comfort and convenience. For contemporary home decor aﬁcionados: the outstanding feature of the Cassita II is its puristic, harmoniously ﬂat, oval-shaped design. 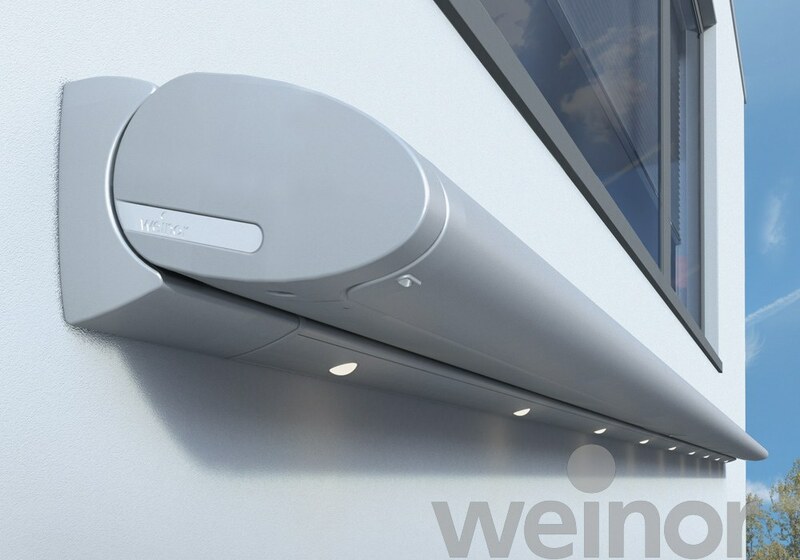 Easy end-ﬁx installation with only two brackets.